It can be hard to know whether you need proofreading, editing, or rewriting. Each type of service involves a different level of revisions to a document. Read on for information that can help you figure out which service you need. Proofreading is the lightest form of editing. When you have a paper proofread, your proofreader or editor will check your work closely for basic grammar, spelling, and punctuation errors. This includes checking for regional differences, such as American vs. British spellings and punctuation usage. The proofreader may also check basic formatting, such as margins and font size. When you have a paper proofread, it is usually ready to submit after you take one last look at it to ensure there aren’t any unresolved issues. Editing involves a more in-depth review of the work. The editor will check for and fix incorrect grammar, spelling, and punctuation usage, and he or she will make changes to the text to ensure that your document is consistent, coherent, and clear. 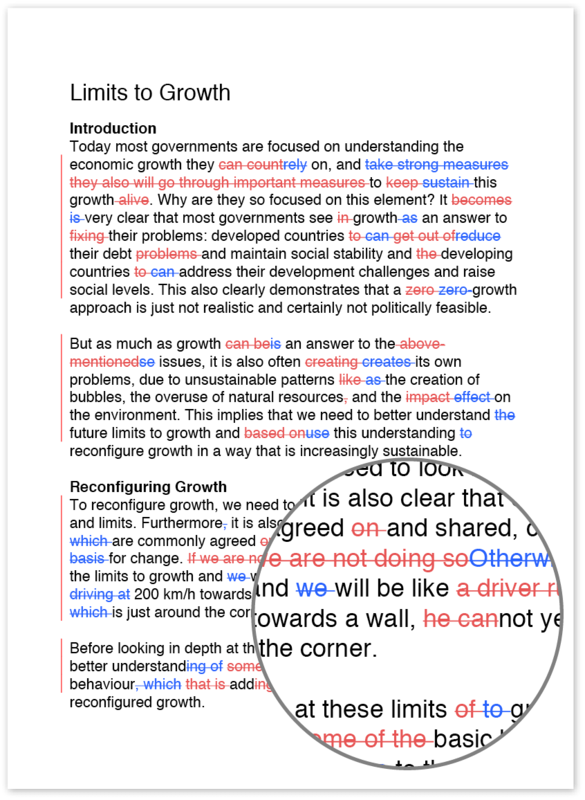 If any information is missing or isn’t clear, the editor will let you know so you can review the text and make necessary changes or additions; often, the editor will also check formatting (e.g., if you need to adhere to a specific style guide). The editor may also make suggestions to help organize the document better. 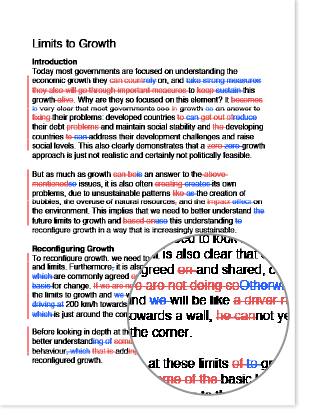 When you have a paper edited, you will often need to review comments from the editor and make corrections or add information on your own. Note that editors do not do research, add material to documents, or provide fact checking. Although the name can be misleading, a rewrite does not mean that the editor completely rewrites your text. This term merely refers to a more substantive edit. When an editor completes a rewrite, he or she substantially rewords or reorganizes the text so it flows better and so it is more clear and concise. A rewrite is also helpful if you need to reduce your word count; however, a rewrite does not involve adding material to or significantly expanding a document. For example, an editor will not turn a list of bullet points into a narrative text. In a rewrite, you are responsible for creating the content; the editor makes necessary changes to help make sure your readers understand what you’re saying. As with a regular edit, editors completing a rewrite do not do research or provide fact checking. Your editor may not complete or cross-check references, and editors do not reword content to avoid plagiarism; it is your responsibility to put material in your own words, but an editor can help you make sure your text is clear and correct. When you have a document rewritten, it is important to go over the document after the editor returns it to you so you can make any additional corrections or add any missing information. Regardless of which service you need, it’s important to provide your editor with any information that may be useful, such as the style guide you must follow or any word count requirements.